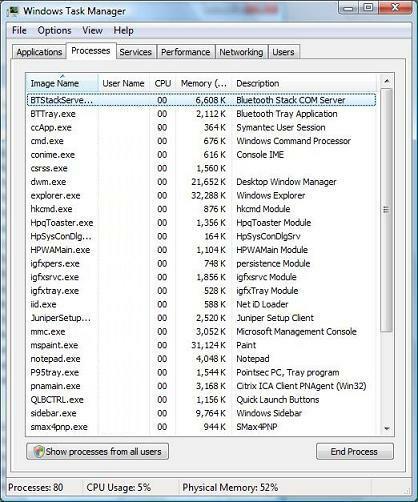 How to access the Task Manager to view running processes? The Task Manager is a system administrative tool that allows you to review all running processes on your Windows system. You can also end any processes with the Task Manager. Here is how you can access the Task Manager and view all running processes on a Windows Vista system. Enter "taskmgr" and click OK. The Task Manager will be displayed.